Dr. Alexander John Schleuning II was an internationally known Ear, Nose and Throat physician and surgeon specializing in hearing, tinnitus (ringing in the ears), Meniere's disease, and the side effects of drugs as they relate to ear problems. Schleuning was born in 1934, in Portland and spent his childhood in Lake Oswego. Dr. Schleuning was the son of Alexander Schleuning who emigrated from Russia to the United States in 1905. He was also the nephew of well known pastor, civil rights advocate and writer, Johannes Schleuning. Painting of Alexander Schleuning, M.D. by artist Dan Howe. Source: Collection of Oregon Health Sciences University, Portland Oregon. Schleuning graduated in 1956 from Stanford University, where he met his wife, Patricia. They were married in 1957 while he was attending the University of Oregon Medical School (now OHSU). As part of his military service in the U.S. Army, he was Chief of Otolaryngology at Womack Army Hospital at Fort Bragg, N.C. from 1965 to 1967. He joined OHSU as a faculty member in 1967 and was named Chairman of the Department of Otolaryngology in 1980, having been at the time of his appointment one of the youngest physicians to be so honored. He retired as Chairman in 2000, but continued to teach and to care for his patients until just days before his death. Among his many achievements, Schleuning helped introduce and expand the use of groundbreaking surgical techniques for hearing restoration, such as implantable hearing devices. He helped many deaf children hear for the first time and restored lost hearing in adults. Schleuning also volunteered for more than three decades at an ear clinic on the Warm Springs Indian Reservation in Central Oregon. His service to these Native American children, whom he loved, contributed to a dramatic decrease in the incidence of pediatric hearing loss in this community, an accomplishment of which he was very proud. Schleuning was the author of dozens of peer-reviewed academic papers and a talented, much-loved teacher. 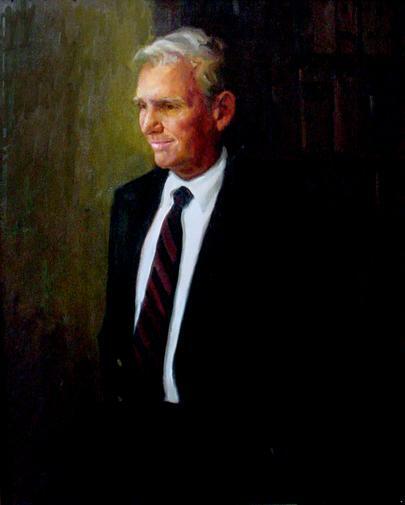 The American Academy of Otolaryngology named him a Distinguished Teacher in 1979. Schleuning has been a member of numerous medical and scientific organizations throughout his career and served for 18 years on the American Board of Otolaryngology. He was president of the Oregon Academy of Otolaryngology in 1980, and he also served as a board member for the Hearing and Speech Institute, and the Tucker-Maxon Oral School for the Deaf. Schleuning, known as "Zan" to his friends and family, enjoyed the outdoors. There was nothing he loved more than a day spent crabbing or fishing at the coast with family and friends or working in his garden. Nothing cheered him up more than spending time with his grandchildren. Schleuning's many friends, admirers and colleagues remember him for his wonderful sense of humor, his warm and caring manner and his devotion to his family, his profession and to OHSU. Schleuning died on April 30, 2005, his family at his side, at Oregon Health and Science University Hospital (OHSU) of a myelodysplastic disease (a blood disorder) which he courageously and uncomplainingly battled for more than seven years.